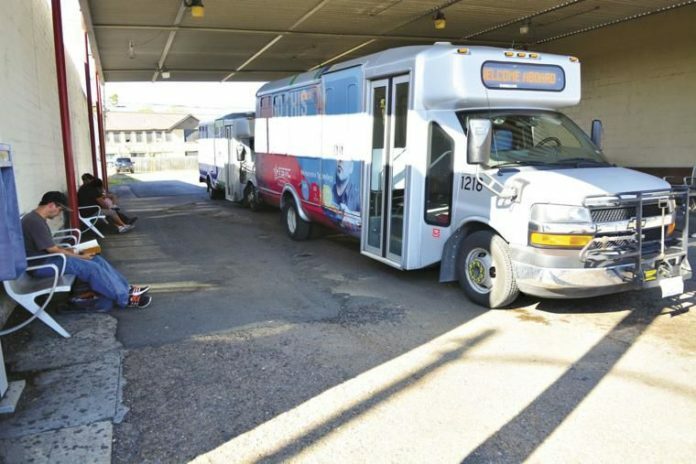 The U.S. Department of Transportation allocated more than $600,000 to the Lower Rio Grande Valley Development Council for new bus shelters, the administration announced this week. The region is among five throughout Texas to receive grant money through the Federal Transit Administration’s bus and bus facilities infrastructure investment program. The city of Wichita Falls received the largest award — more than $9 million. The $661,342 awarded to the LRGVDC will be split to purchase new bus passenger shelters and add amenities in Harlingen, Brownsville and Edinburg. “Public transportation opens doors and keeps our community moving forward,” said Rep. Vicente Gonzalez, D-McAllen. From 2011 through 2016, ridership grew by more than 200 percent, according to information provided by the LRGVDC. Tom Logan, executive director of Valley Metro, said the Valley was one of just five Texas entities to receive funding for the transit improvements from a pool of $2 billion. Currently, there is no fee to ride Valley Metro. Free public transportation will run through at least the end of 2018.